I recently made the transition from architectural practice to a Virtual Design and Construction (VDC) role here at Tocci Building Companies. A VDC Specialist’s role is to support project teams prior to and during construction by collaborating with all project team members (Owners, Architects, Civil, Structural and MEP Engineers, and Trade Contractors). Visualize and communicate items clearly to ensure design intent is properly executed to its fullest extent. Preserve budget and enhance schedule by identifying and resolving constructability issues before they surface in the field – where they are more costly. Look for new tools and workflows to better connect designers and builders. Early in the process the VDC Department at Tocci strives to build good rapport with designers, consultants, and trades. One concept we use is “Confirming RFI” – when VDC encounters an issue, a handful of potential solutions are devised so an informed conversation can ensue between the architect and builder to arrive at an appropriate solution. Innovative tactics like this help reduce the typical time it takes to research and respond. As I acclimate to my new role, I see overlap between my experience in architecture and the essential information specific to construction. My familiarity with producing drawing sets enables me to quickly navigate the documents to find things commonly missed, undervalued, or not allotted sufficient time to complete. In addition, my background enables me to evaluate problems from a different perspective than my construction colleagues. 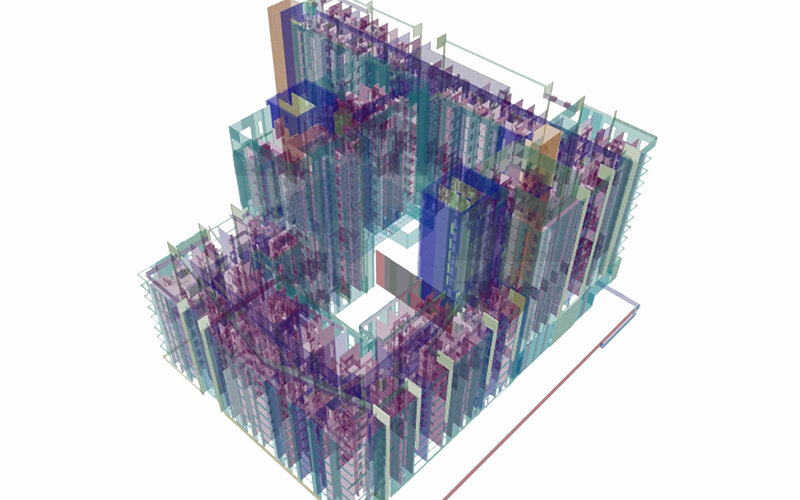 A tool-agnostic approach is an emerging trend in the AEC industry where an array of interchangeable software approaches is used to develop solutions. My visual programming proficiency – namely the Dynamo add-in for Revit – is something unique I bring to the table. Using this skill I can dissect BIM models with much more precision and efficiency than previous methods. In addition, I am able to adapt existing and develop new workflows to better facilitate the estimating, design validation, and coordination processes. Beyond Tocci’s dedication to mentorship and the betterment of my craft, I am most excited to work at a company so willing and eager to rethink the way buildings are built.